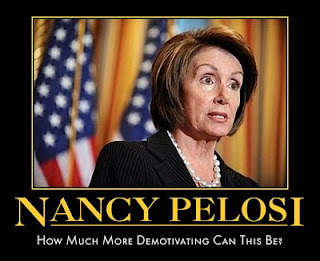 SPEAKER PELOSI'S BOOZE & FOOD TAB: Maker's Mark whiskey, Courvoisier cognac, Johnny Walker Red scotch, Grey Goose vodka, E&J brandy, Bailey's Irish Crème, Bacardi Light rum, Jim Beam whiskey, Beefeater gin, Dewars scotch, Bombay Sapphire gin, Jack Daniels whiskey, Corona beer, and all at taxpayer expense. Judicial Watch has obtained actual receipts through the Freedom of Information Act for the food and "beverages" loaded onto Nancy Pelosi's private Air Force jet. In just two years Nancy Pelosi has racked up over $2 million in travel expenses on her Air Force supplied aircraft, including over $100,000 in extravagant food and drink. President Obama, who seems to spend more time on Air Force One than in the White House, makes Pelosi's travel expenditures look minuscule. Tags: expenses, House Speaker, Nancy Pelosi, USAF To share or post to your site, click on "Post Link". Please mention / link to the ARRA News Service. Thanks! William J. Murray, Chairman Religious Freedom Coalition: THE SPEECH - During his so-called State of the Union Address, Barack Obama said it is time for both parties to work together. He then attacked the Republican Party and criticized the Senate for having a sixty vote rule that "obstructed" his agenda. Next he congratulated himself for "saving" the banking system and then attacked the banks. Obama then lied about a Supreme Court decision and directly attacked the Justices, who were sitting on the front row of the House Chamber. On and off during the speech he claimed that he "inherited" the nation's security and financial problems. At the same time he claimed that he had stopped more terrorist attacks than George W. Bush. He made the outrageous claim that "his" medical reforms would cover the uninsured and reduce the deficit, something that even a sixth grader knows can't be done. To top off the night he said that homosexuals should be able to "serve" the nation in the military. He proved every pundit wrong who had said he would move to the middle after several straight defeats of his party at the polls. Far from moving to the middle he put himself on record as continuing with his unpopular far left agenda. Tags: Barack Obama, religion, Religious Freedom Coalition, SOTUS, speech, William J. Murray To share or post to your site, click on "Post Link". Please mention / link to the ARRA News Service. Thanks! Rasmussen Reports: During his State-of-the-Union address Wednesday night, President Obama spoke about a deficit of trust between the American people and political leaders. New Rasmussen Reports polling on the president’s speech shows just how deep that trust deficit has become. Obama declared that his administration has cut taxes for 95% of Americans. Obama asserted that “after two years of recession,the economy is growing again. Tags: Barack Obama, Rasmussen Reports, SOTUS, taxes To share or post to your site, click on "Post Link". Please mention / link to the ARRA News Service. Thanks! Citizens Against Government Waste (CAGW) has named Sen. Ben Nelson (D-NE) Porker of the Month for delivering the pivotal 60th vote for cloture that allowed the Senate’s healthcare bill to come to the floor for final passage. Sen. Nelson held out until he was able to parlay his vote to secure, among other perks, a permanent exemption to the Medicaid expansion in the bill for Nebraska. This “Cornhusker Kickback” will save the state between $59 million and $281 million. After enduring blistering criticism in the media and a precipitous drop in his job approval rating among home-state voters, the senator then scrambled to send a letter to Senate Majority Leader Harry Reid (D-NV.) asking that the provision be removed, followed closely by a claim that the carve-out was always meant as a “placeholder” so that, eventually, all the states could get the federal government to cover their Medicaid costs. For his Cornhusker Kickback boondoggle, classless congressional CYA behavior, and opening the door to a congressional stampede to try to federalize fully one of the most wasteful government-run healthcare entitlement programs ever conceived, Sen. Ben Nelson wins the dubious title of CAGW’s January Porker of the Month. [Full Story]. Tags: Ben Nelson, bribes, CAGW, government healthcare, porker of the month To share or post to your site, click on "Post Link". Please mention / link to the ARRA News Service. Thanks! Why Is Scott Brown’s Predecessor Still Voting on Legislation? U.S. Sen.-elect Scott Brown is expected to be seated in the U.S. Capitol by Feb. 11 despite past precedent that had U.S. Rep. Niki Tsongas (D-Lowell) seated within two days of her election. Brown isn’t concerned about the sluggish approval process because Washington, D.C., pols have promised not to try and ram through health-care reform before he’s officially sworn in. “Scott appreciates that both President Obama and (Senate) Majority Leader (Harry) Reid (D-Nevada) have said that no major action will be taken on health care until he is sworn and seated,” said Brown’s campaign manager, Eric Fehrnstrom. OK, fine. But at Big Government, SusanAnne Hiller asks, so why is Paul Kirk, his liberal predecessor, still voting in DC? The Senate has voted on three pieces of legislation today that required 60 votes–to raise the debt ceiling to $14.3 trillion, to reduce the deficit by establishing five-year discretionary spending caps, and Ben Bernanke’s confirmation–all of which interim Senator Paul Kirk (D-MA) has voted on. In addition, there have been other Senate votes since Scott Brown was elected as Massachusetts senator that Kirk cast a vote. Based on Massachusetts law, Senate precedent, and the U.S. Constitution, Republican attorneys said Kirk will no longer be a senator after election day, period. Brown meets the age, citizenship, and residency requirements in the Constitution to qualify for the Senate. “Qualification” does not require state “certification,” the lawyers said. Appointed Senator Paul Kirk will lose his vote in the Senate after Tuesday’s election in Massachusetts of a new senator and cannot be the 60th vote for Democratic health care legislation, according to Republican attorneys. H/T to NetRight Nation for calling attention to Ed Drisco's article. Tags: Scott Brown, US Senate, voting To share or post to your site, click on "Post Link". Please mention / link to the ARRA News Service. Thanks! 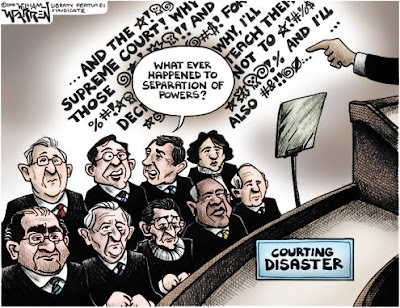 Tags: Barack Obama, political cartoon, SCOTUS, SOTUS, State of the Union, Supreme Court, William Warren To share or post to your site, click on "Post Link". Please mention / link to the ARRA News Service. Thanks! NEWS ALERT: The Obama administration appears to have abandoned plans to put Khalid Sheik Mohammed, the self-proclaimed mastermind of the Sept. 11, 2001, attacks, and four co-conspirators on trial in lower Manhattan, according to administration sources. by Charles Krauthammer, Op-Ed, The Washington Post: The real scandal surrounding the failed Christmas Day airline bombing was not the fact that a terrorist got on a plane -- that can happen to any administration, as it surely did to the Bush administration -- but what happened afterward when Umar Farouk Abdulmutallab was captured and came under the full control of the U.S. government. The Justice Department acted not just unilaterally but unaccountably. Obama's own DNI said that Abdulmutallab should have been interrogated by the HIG, the administration's new High-Value Detainee Interrogation Group. Perhaps you hadn't heard the term. Well, in the very first week of his presidency, Obama abolished by executive order the Bush-Cheney interrogation procedures and pledged to study a substitute mechanism. In August, the administration announced the establishment of the HIG, housed in the FBI but overseen by the National Security Council. Travesties of this magnitude are not lost on the American people. One of the reasons Scott Brown won in Massachusetts was his focus on the Mirandizing of Abdulmutallab. Of course, this case is just a reflection of a larger problem: an administration that insists on treating Islamist terrorism as a law-enforcement issue. Which is why the Justice Department's other egregious terror decision, granting Khalid Sheik Mohammed a civilian trial in New York, is now the subject of a letter from six senators -- three Republicans, two Democrats and Joe Lieberman -- asking Attorney General Eric Holder to reverse the decision. Bill Smith, ARRA Editor: Thank you Charles Krauthammer. Those of us who are veterans knew this situation was another Obama Administration Fubar. Now you have fleshed out the facts. It is apparent that in addition to the terrorists that seeks to destroy life, property, our way of life and our country, we now have to be concerned and vigilante about "the enemy within" proceeding with actions that destroy our morale and placing us at continual risk. Tags: Charles Krauthammer, DOJ, Obama administration, Scandal, terroists To share or post to your site, click on "Post Link". Please mention / link to the ARRA News Service. Thanks! 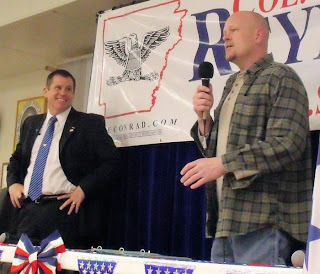 Bill Smith, Editor: On Tuesday, U.S. Senate Candidate Colonel Conrad Reynolds visited Mountain Home Arkansas with "Joe the Plumber." Reynolds spent three days (Monday through Wednesday) making stops across Arkansas with Samuel J. 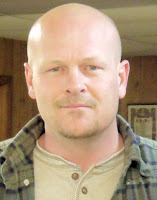 "Joe" Wurzelbacher, a Ohio man who gained fame during the 2008 presidential race. In a interview with ARRA News Service, "Joe" shared about his early years in neighboring Texas where he loved the life as a proud young Texan. Then one day as he learned that he had actually been born in Ohio. His father, a proud hard working blue color worker, traveled where their was work. He taught young "Joe" the value of working with your hands and he became proficient in many of the trades including plumbing. When asked about the fateful day that made him a national celebrity, Joe shared how he loved both football and being with his son. On that fateful day, with his football out of the running, he found himself in his yard tossing the football with his son. Bararck Obama was campaigning in his Ohio neighborhood. Joe who was considering buying a plumbing business asked if he could ask Obama a question (eventually there were three questions). And, as we all know, the rest is history. In moments, citizen Samuel J. "Joe" Wurzelbacher was cast in history as "Joe the Plumber" sharing everyday ordinary basic business economics with a candidate ignorant of these fundamentals. This candidate went on to become president, and in one year, precipitated the worst National debt in history, the Federal take over of banks and the auto industry, and more. 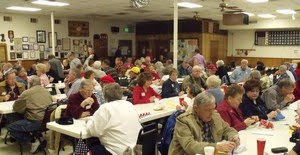 The Mountain Home event was held at the local VFW facility with 125 people attending, not counting press and support team members. People attending were asked to contribute $10 to cover the cost of the food and facility. This was definitely not the usual Republican campaign event. The attendees were predominately independents with a smattering of democrats and republicans. Many people had not determined which candidate that they would be supporting in the primary. Many had not met or listened before to Conrad Reynolds. However, except for the press, attendees in a rare bi-partisan fashion said they were not voting in November for Blanche Lincoln or another democrat for US Senator. In an interesting approach, Col. Reynolds and "Joe the Plumber" used a professional tag team approach to communicate with the audience. First, Reynolds appeared alone and spoke while "Joe" remained out of sight. Reynolds quickly identifying himself, his military background and other qualifications. He addressed the politicians in Washington, D.C. and their unnecessary tax and spend programs that have created the excessive national deficit and burden on future generations. He noted that many appeared to have ignored their oaths of office and that in a reality TV show, they could be called "Thugs Gone Wild." Reynolds pointed to the recent victory by Republican Scott Brown in Massachusetts for the late Sen. Ted Kennedy's seat as evidence that voters outside of Arkansas also want change. He added, "The election of 2010 will be the best showdown of our lifetime. Please help us get the word out and get people to show up for this showdown." Conrad Reynolds then asked for their vote, for volunteers and for campaign contributions. "Joe the Plumber" then took the stage and identified that he does his homework before supporting a candidate and does not agree to take most requests. Out of more than 120 requests, he is campaigning this year for five candidates: three republicans, one conservative democrat and an independent. "I've done my vetting. I approve of Conrad." Joe then challenged people to find out for themselves what Reynold's positions are. "Ask him those questions right now while you've got him in front of you," he said. The two of them used a majority of the time taking questions from the from the audience. Reynolds would accept a couple questions and then "Joe the Plumber" would take a couple and this continued until the event was over. It was evident that many of the people had been involved in TEA Party events. Most people were frustrated over the form letters received from their two Democrat Senators and 1st District Representative. However with the upbeat event, people who were angry with past treatment from their elected officials found themselves laughing. As with most campaigns, Reynolds, Joe, and his staff had to get on to the next event. But they impressively made sure they still reached out to each person before leaving and left volunteers behind until the last person had left. As could be expected by a candidate with a previous career in the military, this event operated like a well-oiled operation, However, more evident was that Conrad Reynolds understand the importance of answering to his superiors. And today, he made it clear by example that he answered to his fellow constituents. View the Reynold's campaign advertisement used to promote the event. From the Campaign: Col. Reynolds served his country in many locations including Iraq, Afghanistan, Bosnia, South Korea, and the Czech Republic. During his military career, he was an accomplished leader, manager and a skilled professional in military intelligence operations. He successfully guided and commanded special intelligence units in the war zones of Afghanistan, Iraq and Bosnia where he developed critical decision-making skills, oversaw multi-million dollar budgets and protected our nation, its interests and the service members under his command. Col. Reynolds also furthered American diplomatic efforts as a military attaché in the Czech Republic helping our European ally prepare to assist in combating global terrorism in Afghanistan. He is also a fervent supporter of the Tea Party movement, the FAIRTAX and lifelong defender of the U.S. Constitution. Tags: Arkansas, ARRA News Service, Bill Smith, Conrad Reynolds, Joe the Plumber, Mountain Home To share or post to your site, click on "Post Link". Please mention / link to the ARRA News Service. Thanks! Senator Tom Coburn and Senator John Barrasso discuss how Republicans want to reduce health care costs. One step-by-step way is stopping Medicare and Medicaid fraud that costs billions of dollars. They discuss Senator George LeMieux's "Prevent Health Care Fraud Act." Tags: fraud, John Barrasso, medicaid, medicare, Senate Doctors, Tom Coburn To share or post to your site, click on "Post Link". Please mention / link to the ARRA News Service. Thanks! The US Senate approved a $1.9 trillion boost in the amount of debt the federal government can take out. The bill, which passed 60 to 40, would establish the new limit at $14.3 trillion -- equal to about $45,000 for every American. Senate also voted 77-23 to end debate and then voted 70 to 30 to approve confirmation of Ben S. Bernanke for a second four year term as Federal Reserve chairman. Many expressed concern over confirming Bernanke "who has presided over the worst economic downturn in generations." Tags: Ben Bernanke, National Debt, US Senate To share or post to your site, click on "Post Link". Please mention / link to the ARRA News Service. Thanks! by Martin Matishak, Global Security Newswire: The United States has made little to no progress toward fully adopting an effective strategy to confront the threat of biological terrorism, a Congressional chartered panel of experts said today. The absence of a comprehensive U.S. capability to rapidly recognize, respond to and recover from a disease-based attack is the most "significant failure" identified in the final "report card" issued this morning by the Commission on the Prevention of Weapons of Mass Destruction Proliferation and Terrorism. The country lacks the technical and operational capabilities required for an "adequate" response to a bioterror attack, the 19-page document states. That national capacity should include the ability to provide information to authorities and the general public; adequate supplies of medical countermeasures and a program for rapid distribution of those medicines; systems for isolating and treating and the sick; and environmental cleanup systems for materials such as anthrax. "The United States is seriously lacking in each of these vital capabilities," according to the report, which gives the federal government an F for acting on the commission's 2008 call to augment the nation's ability for rapid response to prevent biological attacks from inflicting mass casualties. "We believe that the strategy which has the greatest potential is a strategy of the ability to respond, to reduce the impact of such an attack, and the ability to deter that attack," former Senator Bob Graham (D-Fla.), panel co-chairman, said at a press conference today. Commission co-Chairman and former Senator Jim Talent (R-Mo.) later added: "Anybody who studies this will tell you that we are basically nowhere on biopreparation." . . .
"Our fundamental threat assessment of 14 months ago stands today," Graham said. Graham said he hopes the F on bioterrorism preparedness, one of three given out of 17 total marks, "will be a stinging indictment and a message to our national leaders." "Our concern is that this is like Russian roulette; eventually that bullet's in the chamber," according to Talent (see related GSN story). The remaining F's were given under the government reform section for Washington's asserted failure to reshape congressional oversight of national security matters and to retain the next generation of security experts. . . . Tags: anthrax, biological terrorism, NTI, Obama administration, United States To share or post to your site, click on "Post Link". Please mention / link to the ARRA News Service. Thanks! Rhetoric Doesn't Match Reality: During his State of the Union Address, the President tried to perform an about-face, ignored his record, and attempted to convince the American people that he is committed to addressing spending, debt, and deficits. Unfortunately, the Presidents record reveals a far different reality. Despite efforts to spin the facts or blame the preceding Administration, a comparison of the fiscal situation when the Obama Administration took office reveals the truth. The nation's historic debt and record deficits are a direct result of the President's big-spending agenda. Debt: The President's spending policies have drastically increased the national debt. Since taking office just one year ago, the President has increased the public debt by $1.47 trillion or 23 percent, from $6.3 trillion to $7.78 trillion. Under the Administrations' budget, public debt will triple, jumping to $17.5 trillion dollars by 2019. Before Obama's budget and "stimulus" were enacted, CBO estimated that the public debt in 2019 would be $9.34 trillion-or $8 trillion less than it is now projected to be under Obama. In addition, while the President prepares to tout his commitment to fiscal responsibility, he is encouraging Congress to pass a $1.9 trillion increase in the national debt limit, allowing the government to keep borrowing in order to keep on spending. Today, the cost of the national debt is $39,870 for every woman, man, and child in the U.S.
Runaway Spending: The record amounts of debt are a direct result of huge spending increases by the Democrats in Congress and the White House. In one year controlling the White House and Congress, Democrats increased the annual deficit by 308 percent, from $458 billion to $1.4 trillion. A quick review of Democrat's spending increases in 2009 shows why the deficit exploded. In 2009 alone, House Democrats passed $787 billion in "stimulus" spending (which will also add $347 billion in interest), two omnibus spending bills totaling more than $855 billion, and increased non-defense spending by 12 percent. Faced with declining revenues, the President has chosen the least responsible option by increasing spending and deficits rather than lowering federal expenditures. Deficits: Another result of Obama's runaway spending is record breaking deficits for the next decade and beyond. Since Obama was inaugurated, the U.S. has had an average monthly deficit of $122.6 billion. By comparison, from the year 2000 until 2008, the average annual deficit was $196 billion. Unfortunately, the trend of increased federal deficits will not come to an end under the President's budget. According to the President's own estimates, his budget and spending plan will cause deficits to average $905 billion for each of the next ten years. Budget shortfalls incurred by the government fuel the rise in the nation's debt because the government is forced to borrow money to meet the shortfall. In 2009, the budget deficit was $1.4 trillion-the first time in history the deficit exceeded $1 trillion and the first time the deficit exceeded 10 percent of gross domestic product (GDP) since World War II. Why Spending and Debt Hurt the Economy: When federal spending exceeds revenues the federal government usually does one of three things: increase taxes, print new money, or borrow money. Each of these possibilities is problematic and present different threats to the economy at large-especially during times of economic turmoil. Increasing taxes-which the Obama Administration supports-removes capital from the nation's job creators and puts it into the coffers of the government. The tax increases which Obama has endorsed would disproportionately punish small businesses, which make up more than 99.7 percent of all employer firms and employ more than half of all private sector workers. According to the Small Business Administration, small businesses have generated 64 percent of net new jobs over the past 15 years. The national energy tax supported by the Administration would hit every American with thousands of dollars in new taxes. With unemployment at ten percent, now is exactly the wrong time to increase taxes. To pay for massive federal spending and deficits, some might advocate monetizing the shortfall by having the Treasury print more money. Increasing the supply of money, however, necessarily devalues the dollar and hastens inflation. Inflation acts as a tax and adversely effects individuals and families by decreasing the purchasing power of their money. This would be especially harmful to the elderly, single-parent families, or other individuals on a fixed income. Finally, the federal government can borrow money from foreign countries through the sale of debt instruments, which is the most commonly used method for addressing budget deficits. There are a number of concerns with a rapidly increasing national debt. First, money borrowed by the federal government must be paid back by future generations with interest. For instance, the Department of Treasury predicts that the cost of interest on U.S. debt will be $465 billion in FY 2010 alone. The enormous burden of the interest costs on our debt takes money out of the economy for future generations and diverts funds from being used for other, more pressing priorities. In addition, the U.S. dependence on borrowing money to fund our budget deficits, places our nation in the precarious situation of being beholden to foreign nations, like China, to finance our federal spending. High national debt can also diminish confidence in an economy. As President Obama said in November, 2009, "I think it is important, though, to recognize if we keep on adding to the debt, even in the midst of this recovery, that at some point, people could lose confidence in the U.S. economy in a way that could actually lead to a double-dip recession." Tags: Barack Obama, CBO, deficit, federal spending, Obama administration, stimulus, stimulus bill To share or post to your site, click on "Post Link". Please mention / link to the ARRA News Service. Thanks! Rep. Todd Akin, R-Mo. : "He's tone deaf. The policies he's pushing are going to hurt employment and small businesses." Ashley Horn, federal issues analyst for Focus on the Family Action: "He basically looked at the American public tonight and said, 'I don't care what you think about health care, we are still moving forward,' He didn't say anything about the value of life, he didn't say anything about marriage. That's what we really would love to see out of a president.When he did touch on social issues, it was in defiance of values voters. 'This year, I will work with Congress and our military,' he said, 'to finally repeal the law that denies gay Americans the right to serve the country they love because of who they are.'" Sen. Orrin Hatch, R-UT and former chairman of the Judiciary Committee, pointed out that President Barack Obama was out of line to use his State of the Union speech to criticize the Supreme Court while six of its members sat nearby: "Taking on the Supreme Court like he did, I thought it was kind of rude. It's one thing to say that he differed with the court but another thing to demagogue the issue while the court is sitting there out of respect for his position." Rep. Rob Bishop, R-UT: "It was definitely unprecedented to attack the Supreme Court while they're there. The president was contradictory in trying to reach out to those he disagrees with. He said, 'I want to change the tone,' and then he attacked Republicans. He said], 'I don't want to relitigate the past,' and then he blamed the past administration." Marc Thiessen, lead writer on the last two State of the Union addresses: "It was quite possibly the most partisan, condescending State of the Union address ever. Tonight, Obama was unpresidential. The permanent campaign continues. In the long run, it will backfire." Thiessen in The Washington Post: "The president's brief discussion of terrorism focused not on what he was doing to defend the country but was, rather, a vigorous defense of himself. His first words on the subject were a chastisement of those who would dare criticize his handling of terrorism, declaring that 'all of us love this country' and warning his Republican critics to 'put aside the schoolyard taunts about who is tough.' It's all about him. No acknowledgment of how close we came to disaster or praise for the brave passengers who subdued the terrorist. No, only this message for his critics: If you question the wisdom of telling a captured terrorist 'you have the right to remain silent,' you are really questioning the president's patriotism and engaging in childish taunts." Roy Beck, NumbersUSA: "Pres. Obama's obtuse sentence on immigration in his address to the nation revealed a great fear of how the American people would react if he directly called for more foreign workers and for permanent jobs for the estimated 8 million illegal foreign workers. He seemed to be trying to signal to the supporters of amnesty and "comprehensive immigration reform" that he was still behind them but in words that the voters watching on TV wouldn't understand: 'We should continue to work at fixing our broken immigration system to secure our borders and enforce our laws and ensure that everyone who plays by rules can contribute to our economy and enrich our nation.' . . . If the President really believed that putting Americans back to work were an emergency that called for tough measures, he would have announced a suspension of most new immigration of foreign workers and mandated E-Verify verification to keep illegal aliens out of U.S. jobs." Bobby Eberle, GOPUSA: "The speech was the same old socialist rhetoric topped with a direct confrontation with members of the Supreme Court. There was no class at all... but should I have expected anything else? . . . Obama extolled the need for jobs but only offered government as the solution. A job "created" by the government simply based on Obama's proclamation that it is an "approved" job will only last as long as tax payers are paying for that job. Is that a real job? What about promoting an economic climate so that businesses can hire more people? Obama railed against the spending, yet it was his socialist plan that exploded the budget and put more power in the hands of Washington bureaucrats. . . . He actually spent time blasting lobbyists and special interests. Completely amazing! This is coming from the man who hires lobbyists! The Democrat-controlled Senate is performing backroom negotiations with the aid of lobbyists and unions to craft the health care bill." Erick Erickson, RedState Editor: "Barack Obama LIED! - Tonight, Barack Obama said, 'To close that credibility gap we must take action on both ends of Pennsylvania Avenue to end the outsized influence of lobbyists; to do our work openly; and to give our people the government they deserve. That’s what I came to Washington to do. That’s why – for the first time in history – my Administration posts our White House visitors online. And that’s why we’ve excluded lobbyists from policy-making jobs or seats on federal boards and commissions.' Maybe this explains why his national security policies are so weak. He put William Lynn in the Pentagon as Deputy Defense Secretary. Mr. Lynn was a lobbyist for Defense Contractor Ratheon. ... [Other listed former registered lobbyist] Eric Holder, attorney general nominee... Tom Vilsack, secretary of agriculture nominee... William Corr, deputy health and human services secretary nominee... David Hayes, deputy interior secretary nominee... Mark Patterson, chief of staff to Treasury Secretary Timothy Geithner... Ron Klain, chief of staff to Vice President Joe Biden... Mona Sutphen, deputy White House chief of staff... Melody Barnes, domestic policy council director... Cecilia Munoz, White House director of intergovernmental affairs [for National Council of La Raza]... Patrick Gaspard, White House political affairs director [for SEIU]... Michael Strautmanis, chief of staff to the president’s assistant for intergovernmental relations..."
RPA Comments: “Last night’s State of the Union address spoke largely to the millions of Americans who are dissatisfied with a government whose ethical and legislative boundaries appear limitless. In spite of a recession, President Obama vigorously fought to push through liberal bills and policy initiatives defined by unruly government spending. President Obama and his administration also pioneered the largest growth of government in decades despite obvious opposition from conservative movements all over our nation." Tags: Barack Obama, comments, SOTUS, State of the Union To share or post to your site, click on "Post Link". Please mention / link to the ARRA News Service. Thanks! Tags: 2009, Barack Obama, SOTUS, State of the Union To share or post to your site, click on "Post Link". Please mention / link to the ARRA News Service. Thanks! So, the question is: If he enjoys it all so gosh darn much, why is he fighting so hard not to do more or it? 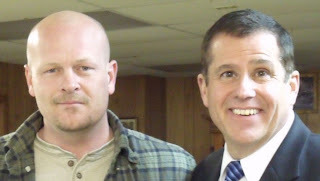 You see, Dave Freudenthal, jolly good fellow that he is, is fighting tooth and nail not to give up his plush state house office and return to the ranks of the hoi polloi. Never mind that Wyoming’s highly popular term limits law says it’s time for Dave to head on home. And never mind that every governor of recent vintage has done so without delay. Dave says he doesn’t want to go. And if has to defy the people of Wyoming, thwart the law of the land, and cause a state constitutional crisis to stay in power, well, so be it. According to Wyoming State Statute Title 22, Chapter 5, passed in the mid-1980s, the governor is limited to serving only eight out of any 16 years. Gov. Dave took office on January 6, 2003. So, unless he has come up with some sort of proprietary hand calculator that subtracts three from eleven and gets something other than eight, it’s time for him to ride off into the sunset. Lest Gov. Dave thinks that the good people of Wyoming just couldn’t bear the thought of him – or any other politician for that matter -- saddling up and heading out, that, too, was settled long ago. In November of 1992, Wyoming’s term limits initiative was approved by an overwhelming 150,113 votes for – and only 44,424 opposed. It appears that Gov. Dave needs to start spending less time with the 44,000 and more time with the 150,000. The alternative, in fact, is almost too forbidding to even consider. . . . Apparently, Gov. Dave has decided to go the route of El Presidente Chavez of Venezuela and just jettison laws that would interfere with his unfettered enjoyment of fame, fortune, power, and prestige. Readers may recall that when Pres. Hugo found that his bonito days in el Casa Blanca were about to come to an end, he did what any other tinhorn despot would do: he sent Venezuela’s highly cherished term limits law down the camino a la perdicion. And Gov. Dave obviously took notice, . . . “We don’t need no stinkin’ term limits.” But, . . . the last guy who tried to follow Pres. Hugo’s lead – former El Presidente Manuel Zelaya of Honduras – not only failed to jettison term limits. He ended up getting unceremoniously jettisoned, himself. . . . So, here’s a word of advice to that jolly good fellow, Dave Freudenthal: . . . hit the road. . . . Tags: Dave Freudenthal, term limits, Wyoming To share or post to your site, click on "Post Link". Please mention / link to the ARRA News Service. Thanks! U.S. House Republicans discuss jobs, the economy, health care, and the State of the Union following their weekly Conference meeting. This weekend, they head to their Republican retreat featuring an appearance by President Obama. Here in advance what they hope to hear this evening from President Barack Obama but most importantly what the House republican intend to share with Obama at their meeting. Tonight, the President of the United States will return to the well of this Congress and deliver his report on the state of the Union. House Republicans welcome the president back to the People’s House. We have heard that after a year of runaway federal spending, trillion-dollar deficits, borrowing, bailouts and big government schemes in energy and health care, after a year where Democrats have been on a spending binge, the president is going to tell us that he is going to get his party on the wagon here in Congress. Let me say that we welcome that. We welcome word that the president may call for a three year spending freeze. Frankly, I never met a spending freeze I didn’t like. Let me say this emphatically: House Republicans will welcome any effort to restore fiscal discipline to Washington D.C. and work with this administration. But Mr. President, the American people want action. We don’t need another lofty speech from this historic well from the President of the United States. Mr. President, set aside your big-government plans to take over health care; send us a budget that reduces spending and reduces taxes on the American people. Mr. President, deeds, not words. Deeds, not words, are what are required to put our fiscal house in order. Tags: Barack Obama, House Republicans, Mike Pence, State of the Union, US House To share or post to your site, click on "Post Link". Please mention / link to the ARRA News Service. Thanks! The Senate and House will meet together for a joint session of Congress to receive the President Barack Obama’s State of the Union Address. Yesterday, in the Senate, an amendment to the resolution to raise the debt limit (H.J. Res. 45) from Sens. Kent Conrad (D-ND) and Judd Gregg (R-NH) to create a bipartisan commission on fiscal reform modeled after BRAC failed to get the 60 votes needed for adoption even though the Senate voted minutes before 97-0 for an amendment from Sen. Max Baucus (D-MT) to exempt Social Security from the scope of that commission. Also yesterday, an amendment to the resolution from Sen. Tom Coburn (R-OK) was divided into four separate amendments and voted on. The first division, requiring the GAO to report annually on duplicative goals and activities of the government, was adopted 94-0. The second division, which would have rescinded $245 million in legislative branch appropriations, was rejected 46-48.& The third division, which would have cut around $20 billion in appropriations from the various cabinet agencies, was rejected 31-61. The fourth division, which would have rescinded all unobligated discretionary government funds from fiscal year 2009, was rejected 37-57. Today, Senate Republican Leader Mitch McConnell, Intelligence Committee Vice Chairman Kit Bond, Homeland Security Committee Ranking Member Susan Collins, Armed Services Committee Ranking Member John McCain, and Judiciary Committee Ranking Member Jeff Sessions sent a letter to Attorney General Eric Holder calling for the administration to answer new and troubling questions surrounding the decision to treat the Christmas bomber, Umar Farouk Abdulmutallab, as a civilian defendant. They wrote, “It appears that the decision not to thoroughly interrogate Abdulmutallab was made by you or other senior officials in the Department of Justice. Moreover, those with knowledge of this decision, like FBI Director Robert Mueller, have said they are constrained from discussing important aspects of it without prior approval from your department. It is critical that the American people have a full and timely understanding of the policy and legal rationale upon which this ill-advised decision was made.” Therefore, Republicans are calling on Holder to testify before the Senate about this crucial security issue. Tags: Attorney General, Islamic terrorist, US Congress, US House, US Senate, Washington D.C. To share or post to your site, click on "Post Link". Please mention / link to the ARRA News Service. Thanks! Tags: Doyle Webb, Republican Party of Arkansas, RPA, election 2010, representatives, Vic Snyder, Marion Berry, retire, video To share or post to your site, click on "Post Link". Please mention / link to the ARRA News Service. Thanks! Tags: healthcare, healthcare independence, Michele Bachmann, MN, US House, video To share or post to your site, click on "Post Link". Please mention / link to the ARRA News Service. Thanks! Tags: Barack Obama, federal spending, keynesian jobs, stimulus, unemployment To share or post to your site, click on "Post Link". Please mention / link to the ARRA News Service. Thanks! Tags: Barack Obama, George Bush, political cartoon, political satire, William Warren To share or post to your site, click on "Post Link". Please mention / link to the ARRA News Service. Thanks! The Senate will vote this morning on the amendment from Sens. Kent Conrad (D-ND) and Judd Gregg (R-NH) to create a bipartisan commission on fiscal reform modeled after BRAC and on an amendment from Sen. Max Baucus (D-MT) to exempt Social Security from the scope of that commission. Yesterday, the Senate voted to confirm Rosanna Peterson to be U.S. District Judge for the Eastern District of Washington. On Wednesday, President Obama will deliver his State of the Union Address. While the US House stumbles around under the present leadership of Speaker Nancy Pelosi, Red State today revealed some welcome news: House Republican Conference Chairman Mike Pence who had been considering a Senate run this year has just revealed that he has chosen to remain and run for another term in the House of Representatives for Indiana's 6th district. Pence would have made an exceptional Senator, but he also has been a mainstay in the Republican leadership in the House and has helped House Republicans take the correct actions issues so as to representing the American people. Pence said regarding his reasons for staying in the House of Representatives: "First because I have been given the responsibility to shape the Republican comeback as a member of the House Republican Leadership and, second, because I believe Republicans will win back the majority in the House of Representatives in 2010." Note: many consider Pence to be a good potential candidate for President or Vice President in 2012. Just a minute Mr. President, isn’t the “economic pain of ordinary Americans” the fact that so many are out of work, as opposed to whether the child care tax credit is large enough? None of these initiatives sound like they’re going to do anything to create jobs, and with 10% unemployment, that’s clearly what Americans are looking for from the president. Now today's New York Times reports, “President Obama will call for a three-year freeze in spending on many domestic programs, and for increases no greater than inflation after that, an initiative intended to signal his seriousness about cutting the budget deficit, administration officials said Monday. . . . The payoff in budget savings would be small relative to the deficit: The estimated $250 billion in savings over 10 years would be less than 3 percent of the roughly $9 trillion in additional deficits the government is expected to accumulate over that time.” This is a welcome shift from the president given our current unsustainable fiscal course. However, there is much more that could be done on this front and it remains to be seen whether big-spending congressional Democrats will go along. If Democrats were truly serious about saving the government money, they could have voted for Sen. Thune’s amendment last week, which would have ended the TARP program instead of allowing it to continue as a slush fund for loaning out taxpayer money. Yet 43 Democrats voted against the amendment last week, ensuring it would not get the needed 60 votes for passage. A recent NBC/Wall Street Journal poll asked Americans what issue they think should be the top priority for the federal government. Result: 38% said “job creation and economic growth” should be the government’s top priority. Health care came in 4th, at 12%, after “national security and terrorism” and “the deficit and government spending.” These numbers reflect what most people in their hearts know. When you threaten business with more control, public takeovers, cap and trade, forced unionization and then limit access to customers and cash for inventory by irrational actions by the Treasurer and others programs, you are going to see retraction of businesses and people being laid off. Responding with long term unemployment benefits leads to people eventually becoming unemployable at the levels they worked before as others enter the job markets who are willing to take lower pay. It is obvious that either President Obama or his top advisers failed to grasp basic economics or their actions are deliberate to precipitate a declining economy leading to further actions of government control. Example, when asked about the economy on this week’s Sunday shows, White House aides all fell back on touting last year’s budget-busting $787 billion stimulus package. But Press Secretary Robert Gibbs, Senior Adviser Valerie Jarrett, and David Axelrod all gave different numbers for the number of jobs supposedly saved or created by the bill. Given the well-documented mistakes and inaccuracies of the stimulus bill a new CNN poll showing Americans have a dim view of the bill is little surprise. It is time for the Obama administration to stop playing politics and to stop its perpetually campaigning. Mr. Obama, send home a majority of your deadwood advisers and stop messing with the U.S. economy. John Adams when faced with siding with his party advisers and thereby being elected president for a second term, chose the good for American thus assuring his own defeat in the electoral college for a second term. But Adams was right. Mr. Obama, you are already president. 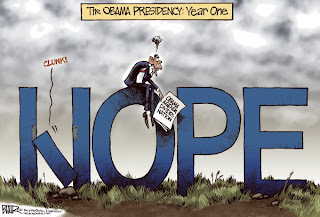 Year one has past.& It is not too late for you to opt to be presidential. ; Stop the madness of your advisers policies. You told us to judge you by those with whom you surround yourself as your advisers. 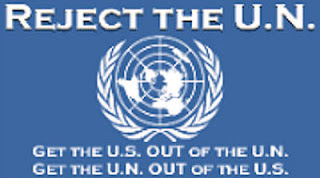 We are doing so and find them lacking in pursuing the best interests of the United States. Some may even be friends. But often friends are incapable of being good advisers in one's job performance. Surround yourself with "good" people (forget political friends) who have no agenda before your name is forever linked with the demise of the United States as a great robust economic Nation. Tags: Barack Obama, economy, Obama administration, US Congress, US House, US Senate, Washington D.C. To share or post to your site, click on "Post Link". Please mention / link to the ARRA News Service. Thanks! 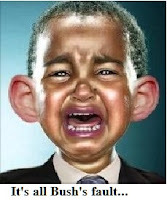 by David Limbaugh, Human Events: Reading excerpts of President Barack Obama's interview with ABC's George Stephanopoulos underscores how tone-deaf and self-absorbed Obama is -- and that his tone-deafness is a function of his self-absorption and rigid ideology. Let's unpack that mouthful. It's all about him; in almost every line, he is bragging or excusing himself. No wonder he can't see any farther than his navel. Note in the opening sentence his umpteenth gratuitous reference to "crises" he inherited; he doesn't use the word "inherited" there, but his meaning is clear. If he hasn't spoken "directly" to the American people more than any politician in modern history, then I'm a politically correct progressive who idolizes Al Gore -- unless, of course, by "directly," he meant "truthfully." But I'm sure that's not what he meant. 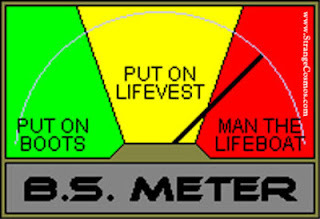 Has any president gone "directly" to the American people more than he has, desperately trying to convince them that this or that proposal is in their urgent self-interest? But notice also what he says he didn't talk to the American people directly enough about: "what their core values are and why we have to make sure those institutions are matching up with those values." Is it just me, or is this psychobabble? What institutions? I can find no antecedent in his statement to indicate what he's referring to. Could he mean that he needs to do a better job of conforming his policy agenda to the people's values? If so, he's not going to learn those values by giving speeches all the time and never listening. He's not going to learn them by listening, either, though, if he doesn't remove his ideological earplugs. Tea Party after Tea Party, poll after poll, legislative obstacle after legislative obstacle -- they all indicate that his policy agenda couldn't be more out of phase with the values of the American people, who are literally beside themselves over his reckless fiscal and national security policies. And just in case you think I'm drawing unwarranted inferences, look at how he ends the statement. He says that if he had spent more time explaining himself -- not listening, but talking -- to the American people instead of nobly grinding through the slog of public policy decisions, the people, thickheaded as they are, would "get it." What? The correct formulation is that if he had spent less time dictating a policy agenda with total disregard for the values and will of the American people -- not to mention the best interests of the nation -- he might "get" that his values are completely at odds with an overwhelming majority of Americans. Besides, the problem is not the "crises" Obama inherited. It's the ones he's creating. He has lived in such a socialist policy shell all his life that he doesn't have a clue that he's on a different planet than most of us. If he were just slightly less narcissistic, he might be able to figure this out. Tags: Barack Obama, David Limbaugh, socialism To share or post to your site, click on "Post Link". Please mention / link to the ARRA News Service. Thanks! ICYMI: Thousands of pro-lifers storm D.C. 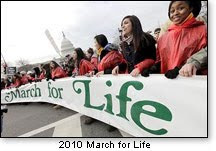 Tags: 2010, March for Life, pro-life, Roe vs. Wade To share or post to your site, click on "Post Link". Please mention / link to the ARRA News Service. Thanks! 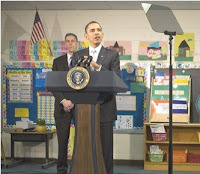 Obama Uses Teleprompter In Elementary Class Speech? Tags: Barack Obama, teleprompter To share or post to your site, click on "Post Link". Please mention / link to the ARRA News Service. Thanks! Arkansas Rep. Marion Berry and Others - Refuse "Congressional retirement and benefits"
Arkansas Rep. Marion Berry is expected to announce his retirement tomorrow morning, according to three sources briefed on the decision. Berry will become the sixth Democrat in a competitive seat to leave in the last two months but the first to announce his retirement since the party's special election loss in Massachusetts last Tuesday. "The message coming out of the Massachusetts special election is clear: No Democrat is safe," said National Republican Congressional Committee communications director Ken Spain. First, Marion Berry has seemed to have realized that claiming to be a "blue dog democrat" has become a false descriptor. A "blue dog democrat" was previously defined to mean a "fiscally conservative democrat," but "blue dogs" are now nothing more than "lap dogs" or the likes of Speaker Pelosi which is definitely no honor. Next, I wish take umbrage at his or any others identifying that Mr. Marion Berry is "retiring" in any other meaning of the word other than "quitting or not running again." The truth is he is moving forward into a new phase of one of the greatest schemes devised by the modern era of Congress for "ripping off" the public: "congressional retirements." In my opinion, he has already been overpaid for the work that he alleges to have done and for the efforts that he did not do like failing "protecting the Constitution of the United States" by voting in favor of bills that are not authorized under the scope of the US Constitution or mortgage off the future of Americans. Berry for all his failed efforts is now positioned to collect a "congressional retirement"! I agree that "no democrat is safe" this year because of the exorbitant efforts to plunder the wealth of future generations of Americans. However, all members of Congress, regardless of political party, who either voted for or supported in any fashion the "retirements" for members of Congress beyond receiving social security for the years in which they actually paid into the system have failed Americans. In addition, most of these members of Congress have spent social security and medicare funds on programs, projects and efforts needed to secure votes to return them to Congress. It is not proper for Congressional members to grant themselves (forget Cadillac) Rolls-Royce retirements and health care benefit packages. Their practice of voting their own retirement program and ripping off the funds needed to pay for it from the general US Treasury needs to be stopped. 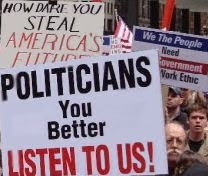 The creators of the Constitution envisioned a need for a members of Congress to determine reasonable pay for future members of Congress, but our founders never envisioned the arrogance or greed of the modern era members of Congress who repeatedly use their office to be re-elected to office, to facilitate their own enrichment and to facilitate their names being placed on buildings, airports, schools, and more. Congress was to represent the people not themselves. Thus, members of Congress like Marion Berry do not get any well wishes from me for their past performance. And before anyone responds with a list of the "good things" Berry did for the First District of Arkansas, be on notice that I reject any efforts by Berry that result in comments like "he helped get this for the district, project, event, effort " or "he supported this funding" I must reject all efforts that were in any manor an earmark, funding for any event, project or effort outside the defined parameters of the Constitution, or were trade-offs for a votes, favors, etc.. Also, we should reject all such actions (beyond National Defense) which added to the excessive federal deficit now owed by our grandchildren and great grandchildren. All such examples would only be further proof of guilt of malfeasance on the part of Mr. Berry and a majority of other members of Congress voting for such actions. Maybe he started with well intentioned, but Mr. Marion Berry has indeed become a significant part of the problem with today's U.S. Congress. None of us need to wish him well, because he is going to be living extremely well on our money or should I say on the federal debt to be paid by our children and grandchildren. If Mr. Berry seeks our well wishes, all he has to do is to do is to refuse the "Congressional retirement and benefits." Tags: AR, AR-01, Arkansas, corruption, Marion Berry, retirement, US House To share or post to your site, click on "Post Link". Please mention / link to the ARRA News Service. Thanks!